My Hillary quilt is half finished on the sewing room table. It wasn’t that I was so pro-Hillary as much as I was anti-Trump. And excited to have a woman in office as I believe women’s communication traits are needed in these tumultuous times. I want a better world for Maddie and Sophia, and each of us, where people are people. I just can’t buy into having a racist, sexist conman as our president. But it has happened and I guess I will have to trust in democracy. Or cry. We went to my in-laws church to have pot roast before the election results came in. The church ladies had a craft table with cute things. 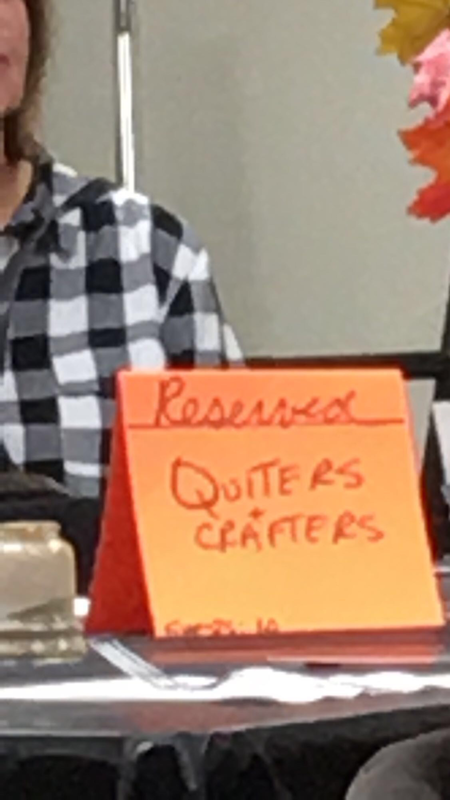 Their sign for their reserved table for dinner was even cuter. Seeing the church ladies raise met for charity was the only bright spot last night. 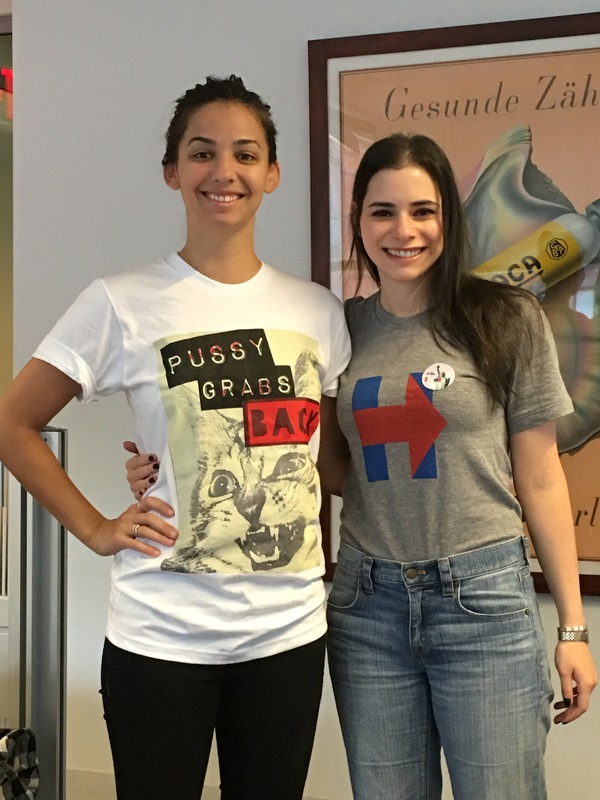 Back to the election… Here are two of the many smart, talented, capable women who are part of my team at work and our future in America. They, and millions like them, deserve better. They will get their Madam President in their lifetime. I just hope I do too.